Bernice C. Heyen, 81, of Lincoln, passed away February 13, 2019 at St. John’s Hospital. Visitation will be from 10 AM until 12 Noon Tuesday, February 19, 2019 at Park Meadows Baptist Church. Funeral services will follow at 12 Noon with Pastor SM Davis officiating. Cremation rites will be accorded by Holland Barry & Bennett Funeral Home. There will be no burial at this time. Bernice was born December 20, 1937 in Tallulah, IL., the daughter of Benjamin and Katie (Caudill) Kissick. She married Donald Heyen on July 7, 1956. She was employed as an accountant for the Box Factory and Puritan Springs water. 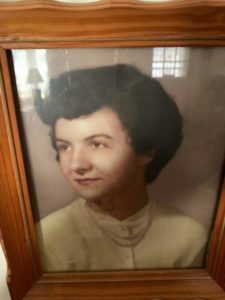 Bernice enjoyed thrift store and garage sale shopping, singing in the church choir at Park Meadows Baptist Church, gardening, and spending time with her grandchildren. Surviving are her husband, daughter Lisa (Greg) Armour; grandchildren: Rebecca Heyen, Sheena Eilts, Tristan Heyen, Calia Read, Donald Heyen, Sadee Armour, and Eden Armour; 15 great grandchildren; and sister Katie Reynolds. She was preceded in death by her parents, son Rex Heyen, and siblings Henry, Rachel, Oleta, Clacy, Ben, Bob, Calvin, Ray, Virginia, and in infant twin sister. Memorial donations may be made to Park Meadows Baptist Church.